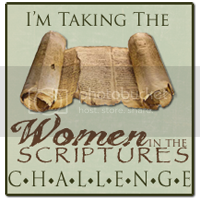 So, it seems that this year is the year to share the good news of Women in the Scriptures! 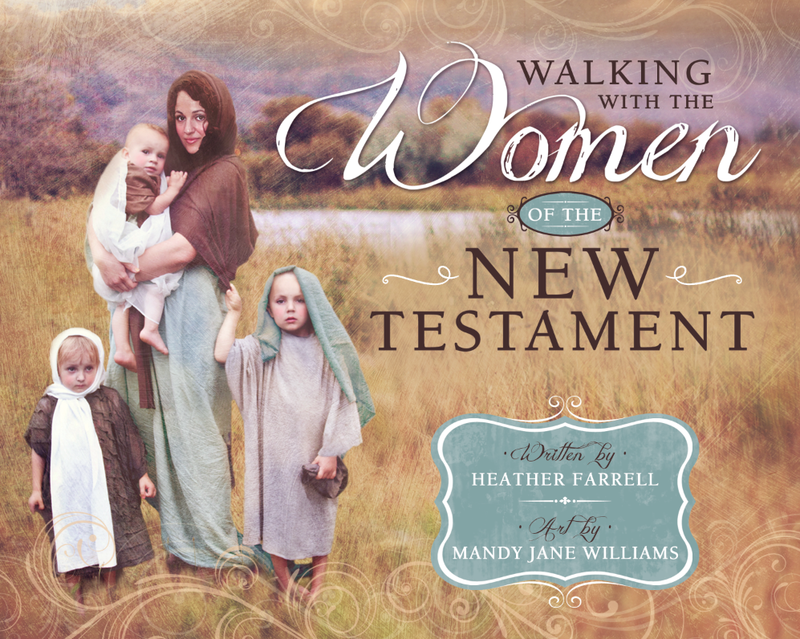 Not only is my book coming out this Fall, but Camille Fronk Olsen (my former teacher) also has a book on Women of the New Testament coming out (which I am thrilled about), AND then this book written for young girls about the women of the Bible is scheduled to come out the end of August! 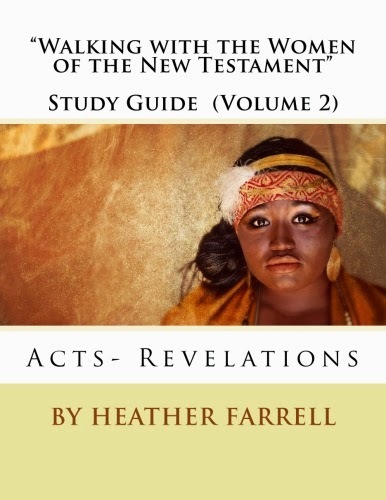 There is going to be a veritable FEAST of information on women in the scriptures available! And with all the turmoil about women in the church lately I think it is coming just in time. Women are hungering and thirsting after more knowledge and I hope that these books will inspire them to open their scriptures and gorge themselves! 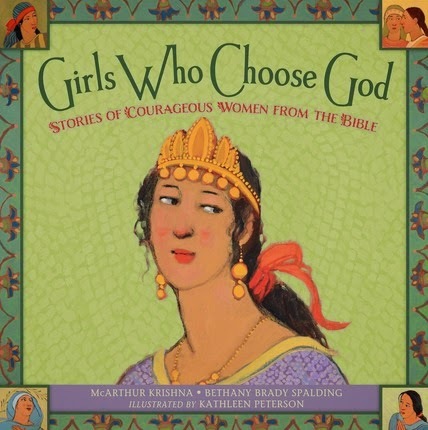 McArthur Krishna contacted me a few months ago and asked if I'd be interested in reviewing "Girls Who Choose God" which is a beautifully illustrated picture book for young girls about women in the Old and New Testament. 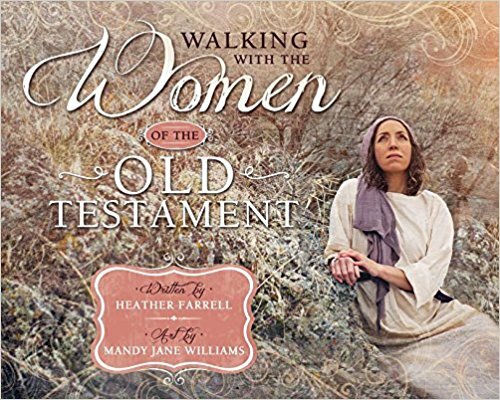 She said that the idea for the book was born when her co-author, Bethany Brady Spalding's 3-year-old daughter stated that there weren't any women in the scriptures. Bethany looked for a good picture book to show her daughter that there WERE women and couldn't find one. I was really impressed with this book. There are several other books out there about women in the Bible written for young children, but I don't like any of them. My problem with most of the women in the scripture books written for children is that, since the stories aren't long, the authors usually take poetic license and add their own ideas into the story. They also tend to skip over the "uncomfortable" parts of the story or try to explain them away. As a result they are often full of "fluff" and things that just aren't true. That really bothers me and so I don't read them to my children. 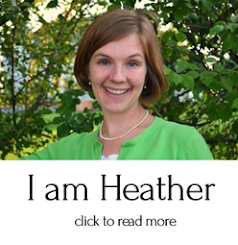 So, while I was excited about "Girls who Choose God" I was a bit skeptical that I would like it. #1) There is no "fluff". The story is told simply and factually, just as it is in the scriptures. There is no attempt to put in speculation, back story or false personalities... it just the story. And while I do think there is a time and a place for speculation and filling in the gaps, I think that it is important that people know what the REAL story is. I felt like this book did a great job of telling the true story of these women-- simply and easy to read. For example, here is the chapter about the daughters of Zelophehad. When I read the book to my four-year-old Rose she loved it and I never once lost her attention! #2) It focuses on women's choices. The book starts with Eve and focuses on the hard choice that she had to make-- leave the garden or stay-- and how her good choice affected future generations. Every woman after is also presented in a similar way-- as having to make a hard decision-- and then focusing on how her choice impacted others or brought her closer to God. I love how the authors did this. It is a really powerful way to explore the stories and challenges the children to put themselves in the woman's shoes. If you were this woman and faced this type of spiritual challenge, what do YOU think you would choose? When Rose and I read this book together she had fun with this part and it really opened up some good, simple conversations for us about the power of making good choices. #3) It teaches personal application of the scriptures. At the end of each story the authors include a question to help children apply the story to their own lives. I was so impressed by this part of the book because it really makes the book a powerful teaching tool. Not only can parents experience these women's stories together with their children but then at the end they can talk about how that woman's story relates to their life today! That is skill that many grownups have trouble with and so I think it is awesome that this book is demonstrating to young girls how to do that! How to read the stories of the women in the scripture, how to think critically about them, and then apply it to their life. It is teaching basic scripture study skills! I know that when Rose and I were reading this book together she really enjoyed answering these questions. During one of the stories she got really excited and said, "Mom, she is just like me!" That made my mother-scriptorian heart just about burst out of my chest. It was so exciting for me to see her make that connection! The scripture references are also listed at the bottom, so that if you want to read the full account with your child it is easy to find. #4) The art work is beautiful. Lastly, the art work is stunning. Really, it is incredible. It is done by Kathleen Peterson, who might just be one of my new favorite artists. Her style is unique and seems somewhat Minerva Teichert-ish to me. I can see these pieces of art becoming "classics" for sure, they are simply incredible. Rose loved this page from the story of Miriam, and wanted me to tell her the story about the kind Egyptian princess over and over again (it really is a great story). I loved all the illustrations but I especially loved this one of the Widow's Mite. I also LOVE her illustration of the temple (on the left) as well! So if you can't tell by now, I am enthralled with this book and think it is one that EVERY home needs. Even (especially) if you only have boys. They need to know these stories too! And since the stories are all from the Bible this is a book that any Christian family would enjoy. Though McArthur did tell me that if this one does well that she has a Book of Mormon one in the works... which would be awesome! This really is a treasure and I am so excited for it to come out. 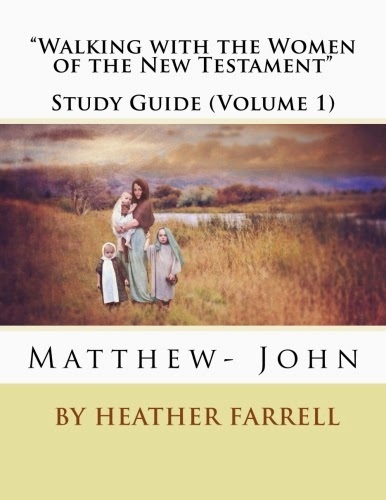 It is incredibly well done and would be a valuable teaching tool for any family wanting to help their children understand how much God loves women, their powerful female spiritual heritage, and how to righteously use their power to choose for good. You can pre-order your copy now from Amazon or Deseret Book and it will be available August 25, 2014! Also if you would like to stay up-to-date on the book and its progress you can follow Girls Who Choose God on Facebook. This looks awesome! Thanks for sharing! I saw a bunch of her work recently at the Church History Museum and I LOVED it. And I just now realized that I have another book illustrated by her, called "A World of Faith" about different religions. Also, I took a New Testament class from Camille Fronk also, and LOVED her! Wow this book sounds awesome. 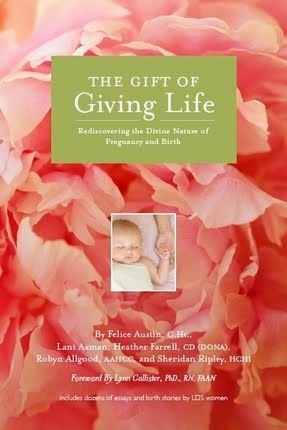 I want to get a copy for myself/my daughter and more copies for all my family/friends having baby girls! I am interested in it for all the reasons you mentioned, but particularly the application to ourselves. I think that is so important. Thanks for highlighting this book (I might have missed it otherwise). Also the once by Camille Fronk...and of course yours! I can't wait to read them all. Did you mean to sound like reading rainbow when you said "but don't take my word for it"? :) I miss you and Rosie, I can't wait to see you both in a few weeks! Thats what I had in mind! Can't wait to see you too. Yay! Glad McArthur followed through. I sent her your way. :) Still waiting for my review copy but reading your review makes me more excited! Thank you for sending her my way. I loved this book and hope she does more! This sounds amazing! My seven year old daughter asks all sorts of women oriented questions and I am excited to add this! I'm excited for your book!